Welcome to the Nazi-occupied city of Lvov where Star of David-marked Jews dance in the streets at gunpoint, bodies fly past apartment windows as they plummet to the ground, and the decomposing corpses of children float through the rat-infested sewers beneath the surface. 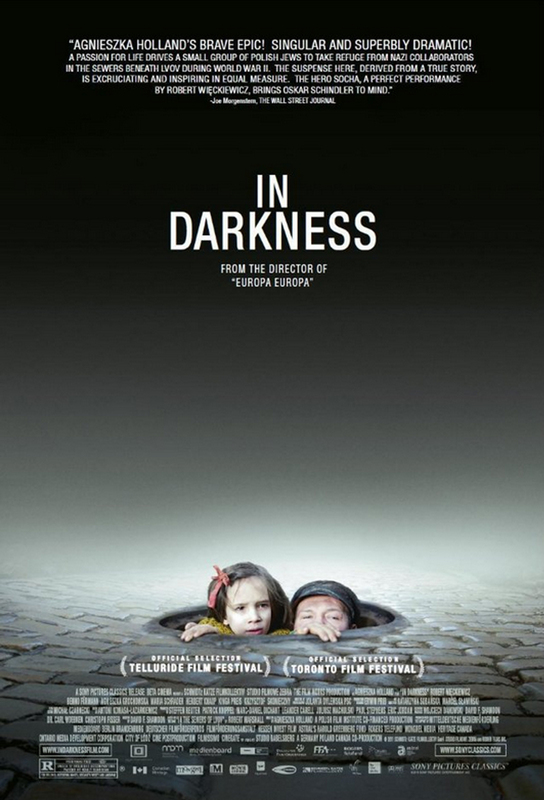 It’s within these latter confines that Agnieszka Holland’s (Europa Europa) Oscar nominated In Darkness unfolds, the true story of a group of Jewish refugees who spent 14 months hiding in the miserably murky underground. They survived the ordeal thanks to the assistance of a Polish sewer worker, Leopold Socha, whose motivations evolve from financial to humanistic throughout his flirtation with disaster. It’s an inspiring story that’s told in the fashion typical of these types of films: harrowing, unflinching, super long (145 minutes). Everything is wrapped up in some matter-of-fact titles at the film’s end that actually use the term “as if” when summarizing the obvious and unreasonable injustice of it all. A brief review, but you get the picture. It’s not like you’ll see this film if you’re not already interested in the subject matter. As if. In Darkness opens today at the Ritz Five.